(News Investigators) – Governor of Sokoto state and Peoples Democratic Party (PDP) has urged party’s delegates in Katsina to support his presidential aspiration, saying Nigeria is currently in a pitiable state. Mr. Tambuwal who led his campaign team to Katsina and Jigawa on Monday, called on the people of the two states to show responsible citizenship by joining hands to enthrone a leadership that will inject new policy directions for the Nation. “Within three years, your son and my elder brother, Umaru Yar’Adua was able to show leadership as President of the Federal Republic of Nigeria. 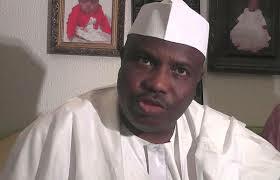 Today, the situation in our country is a pitiable one,” Mr. Tambuwal said. “I pledge not to toy with our future as a people, or overlook the developmental significance of our diversity. Instead I will harness the possibilities that abound in Nigeria for the common good. “I will be fair. I will not shut anyone out from the Villa, because it belongs to us all and my being there as President will simply in order to be available to everyone. The time to focus on a new Nigeria is now and I am here as your brother and friend to show the way,” he said. Make sacrifice for unity, so that it may be well with us all. I will not toy with our future as a people, or overlook the developmental significance of our diversity. Instead I will harness the possibilities that abound in Nigeria for the good of all. I will be fair. I will focus on equity. I will not shut anyone out from the Villa, because it belongs to us all and my being there as President is simply in order to be available to everyone. The time to focus on a new Nigeria is now and I am here as your brother and friend to show the way. “Yes, I am in my father’s house and the beauty of politics without bitterness is that it makes you focus on the humanity of others. It points you to the transience of everything except the good works we do and how they affect others. It is with this attitude that we can, and must, build a new Nigeria. The time to start doing that is now,” Mr. Tambuwal added.